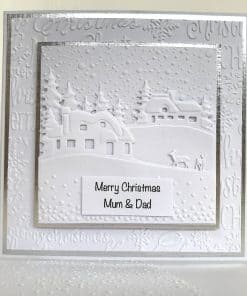 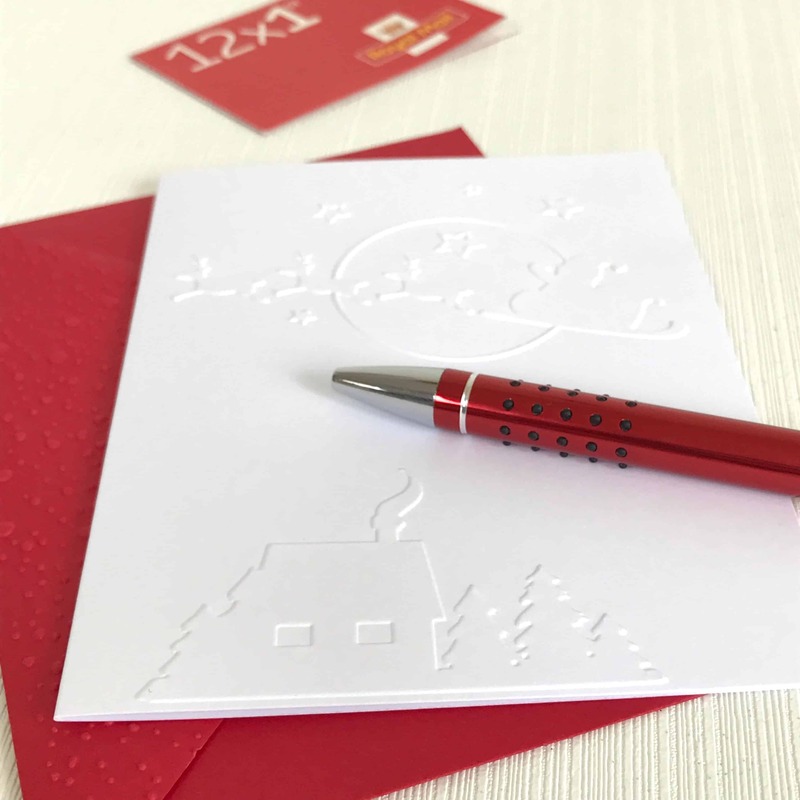 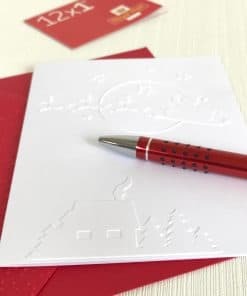 A beautiful handmade set of 6 cards embossed with Santa in his sleigh flying across the sky on Christmas Eve. 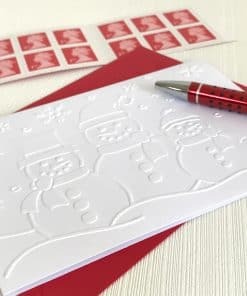 Santa is busy on Xmas Eve delivering all the presents. 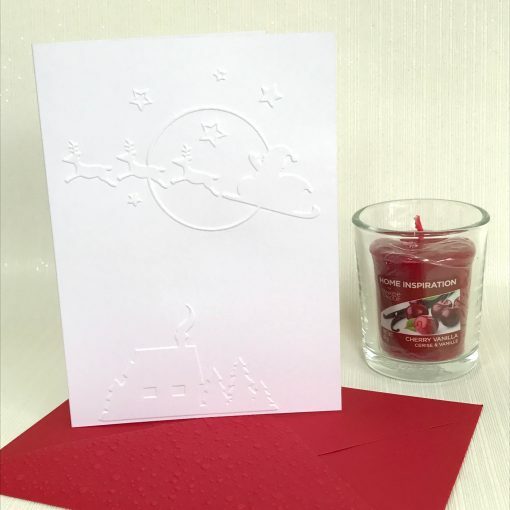 These simple understated cards are a touch of class.